Historic cheese with a unique truncated shape. Depression in the centre designed to hold Champagne or marc. Langres is a speciality cheese made in small dairies in the Champagne region and possibly dates back to the time of the Merovingian kings who reigned from about 500 -700AD, although it became well known and widely appreciated in the middle of the 18th century. Its name comes from the principal town which commercialised the cheese, north east of Dijon in the Haute Marne region. With time, Langres became the object of a flourishing market and traders bought the cheese fresh from the farmers and matured it themselves, exporting it to Paris or Geneva. 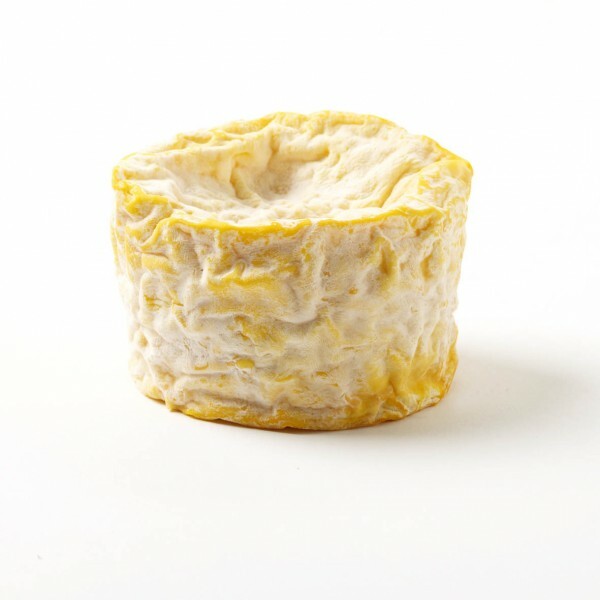 In its original production, Langres was made simply, with rennet being added to the milk when it was still tepid and then left to curdle in stoneware pots. Once curdled, the cheese was formed and drained in terracotta moulds where they formed their distinctive truncated shape. The cheese were taken out of the moulds and left to dry on plane tree leaves in wicker cages, where the cheeses were never turned, but left until the natural moulds formed colours on the rind. These days, the cheese is made in the region of Bassigny, mostly by small dairies as opposed to the traditional farms. It is wrapped in marked paper instead of plane leaves, but is still highly regarded in gastronomic terms. The dip in the top of the truncated cheese is widely used as a miniature reservoir for local speciality alcohols, such as Champagne, brandy, kirsch or marc, and can differ according to the taste of the individual cheesmaker. In 1991, the cheese became protected, and now has a Protected Designation of Origin (PDO) as an indication that the cheese is produced using an ancestral savoir-faire in a specific region. The aroma of the Langres is strong, and the texture is smooth and firm. It has a flavour that is rich and full with a spicy tang.